A painstaking examination of the first direct and detailed climate record from the continental shelves surrounding Antarctica reveals that the last remnant of Antarctic vegetation existed in a tundra landscape on the continent's northern peninsula about 12 million years ago. The research, which was led by researchers at Rice University and Louisiana State University, appears online this week and will be featured on the cover of the July 12 issue of the Proceedings of the National Academy of Sciences. The new study contains the most detailed reconstruction to date of the climatic history of the Antarctic Peninsula, which has warmed significantly in recent decades. The rapid decline of glaciers along the peninsula has led to widespread speculation about how the rest of the continent's ice sheets will react to rising global temperatures. "The best way to predict future changes in the behavior of Antarctic ice sheets and their influence on climate is to understand their past," said Rice University marine geologist John Anderson, the study's lead author. The study paints the most detailed picture to date of how the Antarctic Peninsula first succumbed to ice during a prolonged period of global cooling. In the warmest period in Earth's past 55 million years, Antarctica was ice-free and forested. The continent's vast ice sheets, which today contain more than two-thirds of Earth's freshwater, began forming about 38 million years ago. The Antarctic Peninsula, which juts farther north than the rest of the continent, was the last part of Antarctica to succumb to ice. It's also the part that has experienced the most dramatic warming in recent decades; its mean annual temperatures rose as much as six times faster than mean annual temperatures worldwide. "There's a longstanding debate about how rapidly glaciation progressed in Antarctica," said Sophie Warny, a Louisiana State University geologist who specializes in palynology (the study of fossilized pollen and spores) and led the palynological reconstruction. "We found that the fossil record was unambiguous; glacial expansion in the Antarctic Peninsula was a long, gradual process that was influenced by atmospheric, tectonic and oceanographic changes." 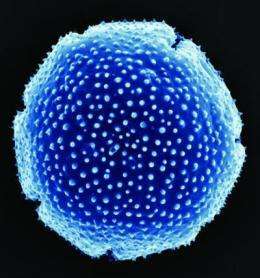 "The pollen record in the sedimentary layers was beautiful, both in its richness and depth," Warny said. "It allowed us to construct a detailed picture of the rapid decline of the forests during the late Eocene -- about 35 million years ago -- and the widespread glaciation that took place in the middle Miocene -- about 13 million years ago." Obtaining the sedimentary samples wasn't easy. The muddy treasure trove was locked away beneath almost 100 feet of dense sedimentary rock. It was also off the coast of the peninsula in shallow waters that are covered by ice most of the year and beset by icebergs the rest. Anderson, a veteran of more than 25 research expeditions to Antarctica, and colleagues spent more than a decade building a case for the funding to outfit an icebreaker with the right kind of drilling equipment to bore through the rock. In 2002, the National Science Foundation (NSF) funded the project, which was dubbed SHALDRIL. Three years later, the NSF research vessel Nathaniel B. Palmer left on the first of two drilling cruises. 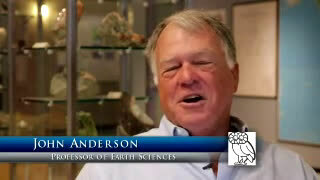 "It was the worst ice year that any of us could remember," Anderson said. "We'd spend most of a day lowering drill string to the ocean floor only to pull it back up to get out of the way of approaching icebergs." The next year was little better, but the SHALDRIL team managed to obtain enough core samples to cover the past 36 million years, thanks to the logistical planning of marine geologist Julia Wellner and to the skill of the drilling crew. By end of the second season, Anderson said, the crew could drill as much as a meter every five minutes. Reconstructing a detailed climate record from the sample was another Herculean task. In addition to the three-year palynological analysis at LSU, University of Southampton palaeoceanographer Steven Bohaty led an effort to nail down the precise age of the various sediments in each core sample. Wellner, now at the University of Houston, examined the characteristics of the sediments to determine whether they formed below an ice sheet, in open marine conditions or in a combined glacial-marine setting. Other members of the team had to count, categorize and even examine the surface texture of thousands of sand grains that were preserved in the sediments. Gradually, the team was able to piece together a history of how much of the peninsula was covered by glaciers throughout the past 36 million years. "SHALDRIL gave us the first reliable age constraints on the timing of ice sheet advance across the northern peninsula," Anderson said. "The rich mosaic of organic and geologic material that we found in the sedimentary record has given us a much clearer picture of the climatic history of the Antarctic Peninsula. This type of record is invaluable as we struggle to place in context the rapid changes that we see taking place in the peninsula today." Still wondering how a detailed map of the continent was made in the 1500s showing the topography of the coast if it had been buried for so many millions of years under a mile of ice. We finally achieved that feat in the 1950s with ground penetrating radar. so i guess theres proof that climate doesn't change like it does in the movies, virtually overnight. it takes THOUSANDS, if not millions of years for climate to change drastically. wow. who woulda thought? oh yea, people who think, not sheep and parrots. Lets see how fast climate changes when yellowstone errupts.